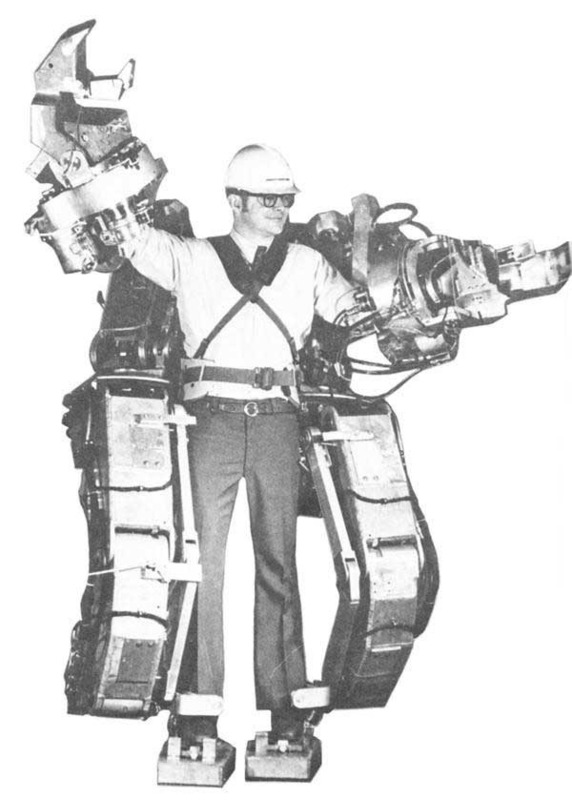 Ralph Mosher, an engineer working for General Electric in the 1950s, developed a robotic exoskeleton called Hardiman. The mechanical suit, consisting of powered arms and legs, could give him superhuman strength. An arm wrestler’s dream! 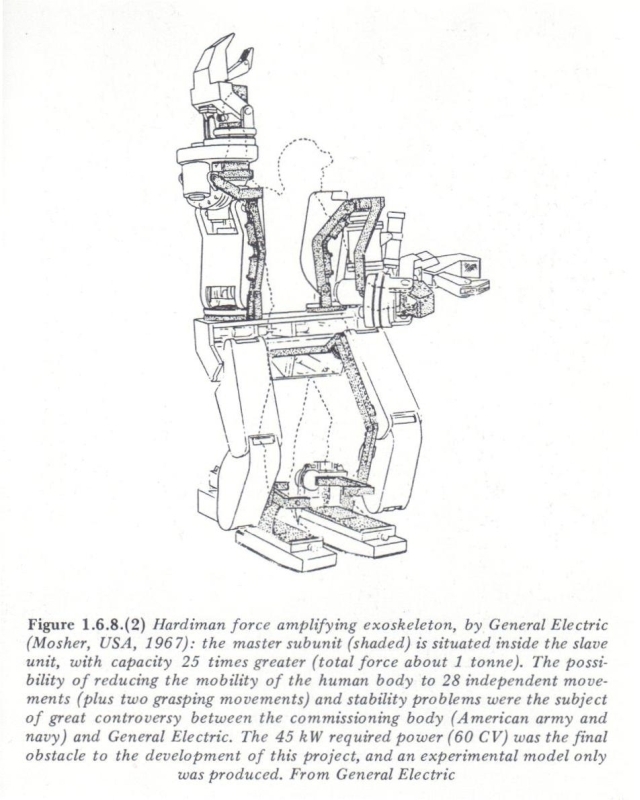 The General Electric Hardiman was as close as science got to a cyborg during the ’60s; and even then, it was a stretch, since it was worn by its operator rather than grafted onto his body.